HS2 is being built, an Act of Parliament has set up HS2 Ltd, funding is in place and, crucially, construction has begun in earnest this year. We are breaking ground on a transformational piece of national infrastructure, and in advanced discussions with a diverse range of stakeholders and local communities about how we maximise the benefits of the project for the whole country. So why do we continue to hear politicians reheating tired and flawed arguments about HS2? That train has long since departed. A choice between HS2 and regional rail improvements is no choice at all, we are already delivering HS2 and we will deliver both. So, what does this mean about the future discussions to be had? It means talking about complementary expansion, upgrade, and integration of the existing network. It is not credible to pretend that we have a choice between improving the existing rail infrastructure and delivering HS2. They are separate but strongly related questions. Political choices are so rarely ‘either or’, and more often should be ‘both’. In presenting the choice of rail investment as one between HS2 and regional schemes, political leaders and commentators betray the benefits of building both. As an industry we should make the case for HS2 and its integration with Northern Powerhouse Rail and Midlands Connect. Government policy is to build HS2, both phases one and two, and to improve regional rail connectivity through schemes like Northern Powerhouse Rail and Midlands Connect. To do one without the other is a foolhardy choice and does a great disservice to the country. Nowhere would feel the full benefits of HS2 if we see it as a binary choice between HS2 and other programmes to better connect our regions. The great towns and cities across the North and Midlands, from Bradford to Birmingham, need both. Suggested design for Birmingham Curzon Street HS2 station. There are opportunities across the country to improve connectivity, boost jobs, and regenerate towns and cities which, for too long, have lacked the tools to succeed. These are opportunities that are realised and maximised through the HS2 network being integrated with NPR and Midlands Connect. HS2 is building on a renaissance of delivering high quality infrastructure projects in the UK and, through that, creating and retaining highly skilled jobs and boosting economic growth. Currently, HS2 is supporting over 7,000 jobs. This will rise to 30,000 at the peak of construction. Importantly, 70 per cent of these jobs will be based outside of London. Right now, over 250 apprentices have worked on HS2 and, over the lifetime of the project, 2,000 apprenticeships will be delivered. This next generation of industry leaders will experience working on a world class infrastructure project, an opportunity that will shape their careers and understanding of the industry for years to come. HS2 will develop future geologists, architects, and horticulturalists, as well as engineers, project managers, and designers. HS2 will be integrated with Midlands Connect and Northern Powerhouse Rail, amplifying and widening the scope for meaningful apprenticeships. Crucially, it will develop these skills all over the country and for the benefit of the whole country. The careers of these highly skilled workers do not begin and end with one project; these workers are a national asset and part of a workforce fit for the future. These projects, when viewed holistically, are about transforming the economic geography of the country. The North has just over 15 million people, with a gross value added of £315 billion to the economy. In London, with just over half that number of people, they are producing around £600 billion Gross Value Added. We know that the North is underperforming, and we know that part of the problem is connectivity east to west, as well as north to south. 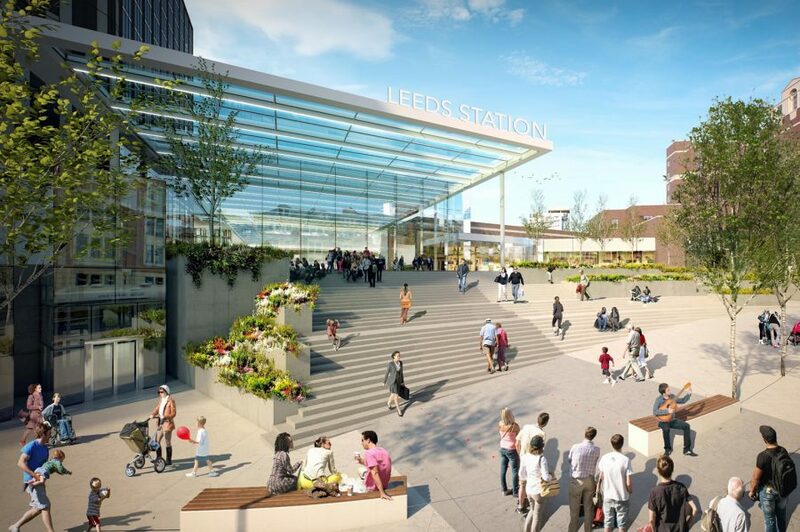 Preliminary design for Leeds HS2 station. The Strategic Transport Plan for the North of England offers a £70 billion vision for the future, targeted at supporting 850,000 fulltime additional jobs, and 100 billion gross value added by 2050. HS2, NPR, Midlands Connect, the Transpennine Route Upgrade and the improvements to the East Coast main line are all part of the solution. Key to this is capacity and connectivity between cities in the North, for which the benefits are only truly gained if we integrate NPR with HS2. Currently, only two million people can get to four of the major cities within 90 minutes – with NPR that will rise to nearly 10 million. By increasing the average journey speed in the North, from just nine miles an hour faster than a car to up to 125 mph, or 140 mph when operating on HS2 lines, we will see the journey from Sheffield to Leeds reduced from 43 minutes to 28, with four trains per hour instead of just one. There will be thousands of additional seats between the great hubs of Manchester and Leeds every hour. This current programme means thinking holistically about how we use HS2 as the main artery of a new kind of rail network. High Speed Rail Industry Leaders (HSRIL) represents companies with an interest in high speed rail projects. Our members’ businesses are located across the length and breadth of the country, as well as around the world. We know what benefits rail can bring, we see the benefits on the ground but also in the strong economic evidence base. Of course, we are champions of high-speed rail, but our voices are not the most significant in this debate. It is the political and business leaders in the North, the Midlands and the rest of the country that are crying out of the politicking to end and the serious decisions to be taken. From Manchester Mayor Andy Burnham, Leeds City Council Leader Judith Blake, to West Midlands Mayor Andy Street, they are stepping up to the plate and demanding that HS2 goes all the way to Manchester and beyond, but that is not considered in isolation. As an industry, we must provide ballast for those advocates willing to say it is not ‘either or’ but ‘both’, despite the political inconvenience it causes for them. HS2 will leave a lasting legacy on the country. It will bridge the North-South divide, boost regional economies, and ease pressures on our ageing infrastructure. The physical and financial legacy of the programme will only be part of the story. The human side of the story will see HS2 supporting supply-chain businesses and communities across the country. A generation of professionals will gain skills and experience working on a globally renowned project, and will go on to do great things in their careers as a result. HS2 is about so much more than speed or capacity – but we can only unlock the extra value that it can bring by thinking broadly and deeply about the future of the country. Railways are not easy and solutions are not simple. Politically expedient answers might offer a temporary fix for those craving headlines, but the problems are multifaceted and the solutions need to be too. We must, as an industry, continue to challenge the lazy rhetoric around HS2 and what it means for the country. There is so much at stake and it is up to us to rise to meet this challenge. 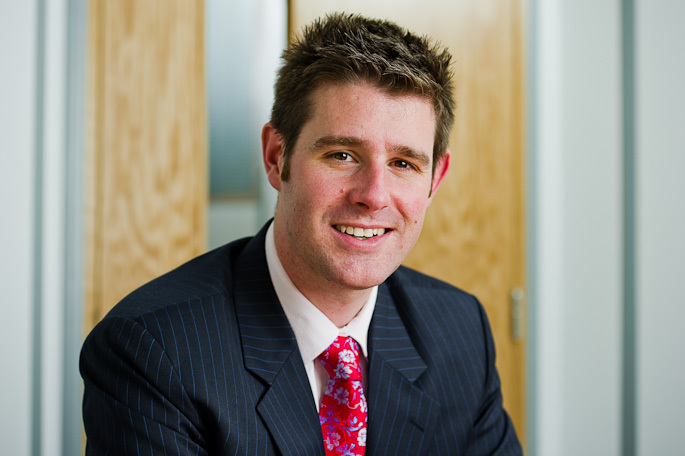 John Downer is a director of High Speed Rail Industry Leaders and Client Account Director – Rail Solutions at Jacobs. However, the views expressed in this piece are his own.